Comecon revisited. 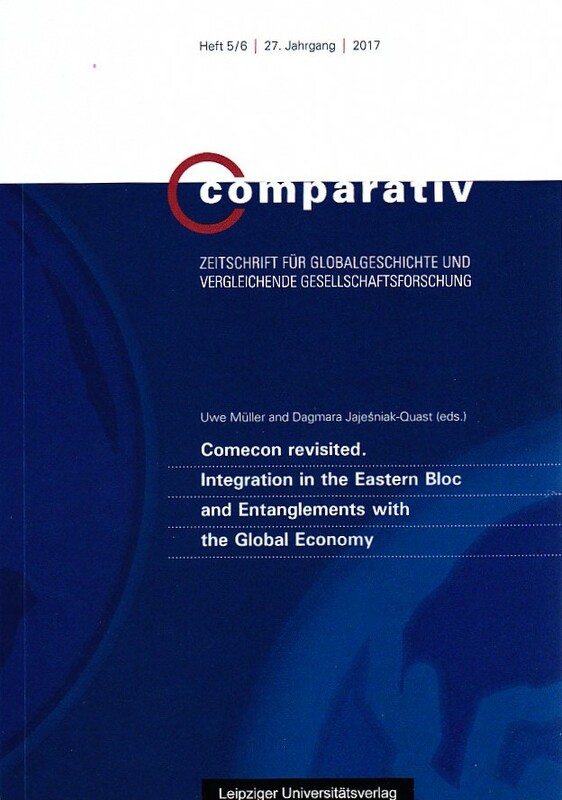 Integration in the Eastern Bloc and Entanglements with the Global Economy. This article relects on how the economic and trade relations of the Czech Republic, Hungary and Slovakia with Russia have developed in the twenty years since the abolition of the CMEA. The article’s main indings are as follows. First, there have been two distinct phases in postCMEA trade patterns. After a long period of stagnation prior to EU accession, Russia has since become a signiicant export market for all three states. For the three, the build-up of export capacity during EU pre-accession was arguably more important than EU entry per se. Second, energy dependency, a key CMEA-era interconnection, has remained a signiicant feature of economic relations between Russia and the three throughout the post-CMEA era. Third, the growing importance of bilateral intergovernmental instruments charged with promoting trade and economic cooperation between Russia and the three has been a notable feature of the post-004 period. Fourth, the main political parties in each of the three tended to take diferent positions on economic relations with Russia. Yet changes of government seem to have been rather marginal in terms of both the conduct of economic relations with Russia and levels of trade and economic cooperation, especially in the post-004 period.